This article was first published in John Redwood’s Diary on February 10, 2019, and is republished by kind permission. IF YOU listen to Sir Martin Donnelly, former Permanent Secretary at the Department of International Trade and friend and supporter of Olly Robbins, senior civil servant Brexit negotiator for the UK, the UK has to accept that the Withdrawal Agreement is as good as it gets and sign it. So we can guess there is a senior strand of advice and opinion within the civil service which says the UK must seek to change Parliament’s mind and get on with signing up to the Withdrawal Agreement they have negotiated. Doubtless they will help the PM get some clarification or side document to the Agreement over the backstop to try to secure its passage on a second attempt.That would sign us up to 21 months or more of very expensive talks, submit us to the Irish backstop which looks like a device to get us to stay in the customs union, and place us at a huge disadvantage in trying to negotiate a so-called future partnership. Much of the civil service work, as I understand it from press reports and Ministerial statements, has been to map all the contours of our current relationship with the EU and try to replicate them whilst claiming we have in some technical sense left the EU. This of course has all been under the guidance of Ministers, and Ministers have to take responsibility for what the civil service does as soon as they sign the work off. There does not seem to have been any effort to design and table a Free Trade Agreement, and our best trade negotiator, Crawford Falconer, has been kept well away from all the EU talks. This strand of opinion gains considerable support from the Chancellor and the Secretary of State for Business. They have expressed their continued regret at our departing the EU and have made clear their opposition to leaving without a Withdrawal Agreement. They have exuded hostility to WTO Brexit and do not look as if they are trying to smooth our passage in that eventuality. They keep in touch with a limited number of leaders of large international businesses and seem enthusiastic every time one of those speaks out about alleged dangers of leaving. Indeed we can read reports that they encourage businesses to accentuate the negative. Many of the scare stories say we will have trouble importing, yet the government has not set out just why and how it will mess up our ports. Within government we also have figures such as David Lidington, deputy prime minister, and Gavin Barwell, chief of staff at Number 10, with strong Remain pedigrees who wish to reach out to Labour to find a compromise across Parliament to delay or water down Brexit. The Prime Minister herself seeks to balance these Remain forces with the much larger number of pro-Brexit MPs on the government and DUP benches. She herself always rules out staying in the customs union and single market, as stated in the Conservative Manifesto and by both sides in the referendum. 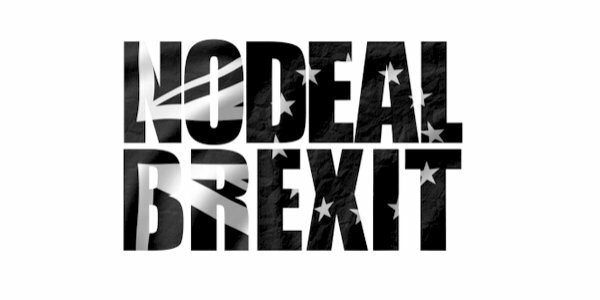 She says she does not want No Deal but it has to be there in case there is no agreement which is better. She never wavers in saying we will leave on 29 March. Next articleReaders’ comments: Just what is she for?